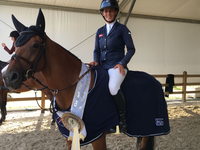 Kathi had a great weekend in Bonheiden, with several top results. 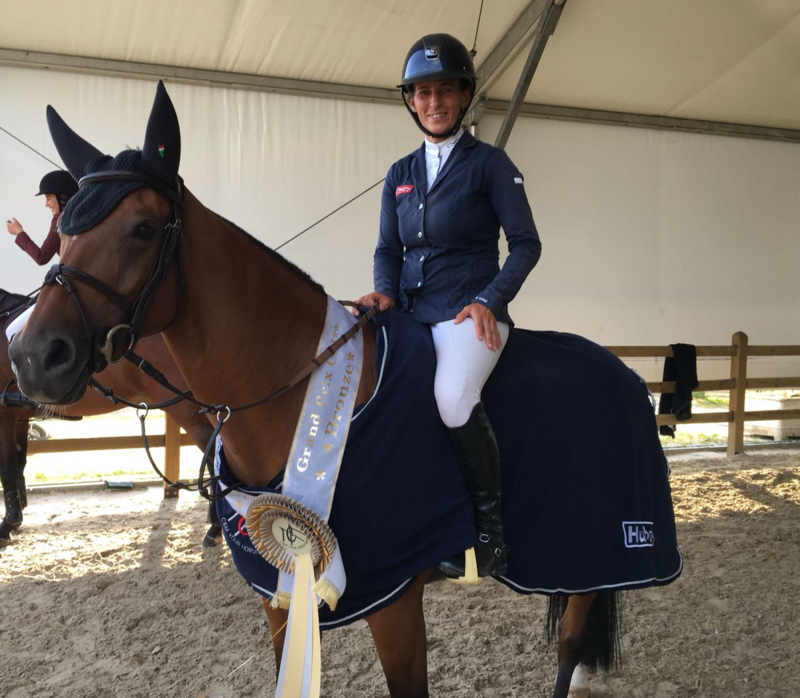 The weekend kicked off with Amarit D'Amour jumping clear in Thursday's CSI3* Grand Prix qualifier, and following up with a 4th place in Friday's CSI3* 1.45m Longines Ranking class. Etna placed 4th in Thursday's 1.40 and went on to jump double clear in Saturday's CSI3* 1.45m Longines Ranking class with a jump-off to end 8th. Cornido was clear all the way in his three classes, and concluded with a second place in Sunday's 6-year-old final after a double clear round. The one that really impressed was Kathi's newest arrival Daloa, who delivered a double clear round in Sunday's CSI2* 1.45m Grand Prix counting for the world ranking to take home the third place after a blistering fast jump-off. This was Daloa and Kathi's first show together. Casper J&J Z is also back in good form, and jumped clear in both his classes.